Septic tanks are the kind of utility that we like to think about as little as possible, assuming they’re working perfectly well. Of course, the reality is, like any other part of a property, they require proper maintenance. Fortunately, you don’t need to go about septic tank maintenance blindly. For over a decade, Prichard Septic Service has been helping the people of Grayson, KY with all of their septic tank needs. 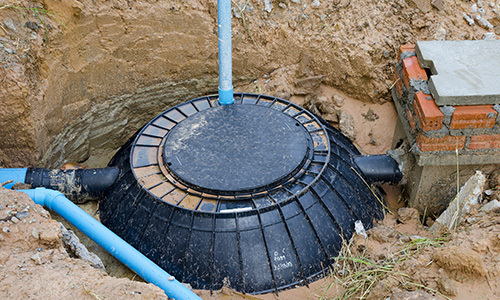 They work on new systems, old systems, and offer superior septic tank cleaning and repair services. No Parking: Try to be aware of where your septic system and its various parts are on your property, so you can be sure not to accidentally park any particularly heavy vehicles on top of them. This could potentially cause damage to the system. Build Elsewhere: While you may be tempted at some point to build a deck or patio for your home, make sure that in doing so, you don’t build in an area that will block access to your septic tank. Septic tank maintenance becomes much more difficult when you can’t reach the system. Most importantly, remember that the experts at Prichard Septic Service are always available to help. This Grayson, KY business stands out by offering a wide range of services and providing proper installation and excavation when necessary. If you’ve got a septic system issue that requires quality service, visit them online or call (606) 475-1491 today. Are You Making These 3 Common Septic System Mistakes?